Toyark sponsor Entertainment Earth provided us with the first assortment and we have over 35 photos of the new 4″ foam assortment. Check out the photos and my review of the new Madballs after the jump. Toyark sponsor Entertainment Earth sent along a large assortment of the Madballs Keychains. We have a full gallery of most of them. In the gallery you can see size comparisons as well as close up shots of each keychain. 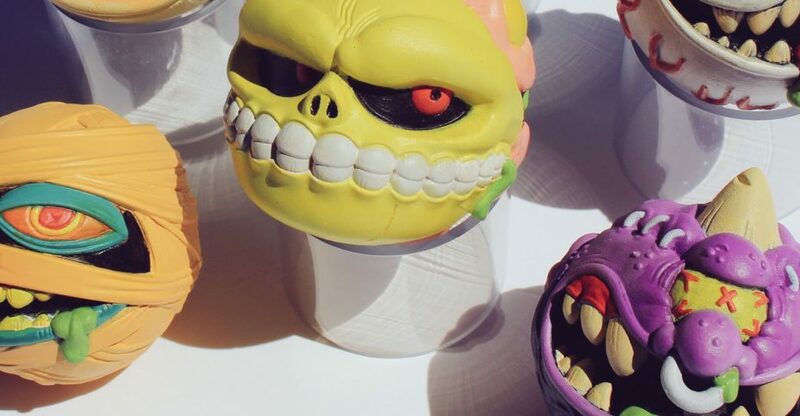 Here’s a quick look at the Kidrobot Madballs on display from Toy Fair 2017. Kidrobot had a few new items there, but were mainly showcasing their newly released items. These included the Madballs Vinyl Keychains, the Madballs Mini Blind Boxes, the Madballs Mega Figures and the 4″ Madballs Foam Figures. Some of the foam figures are hitting stores now, with others on the way in the near future. 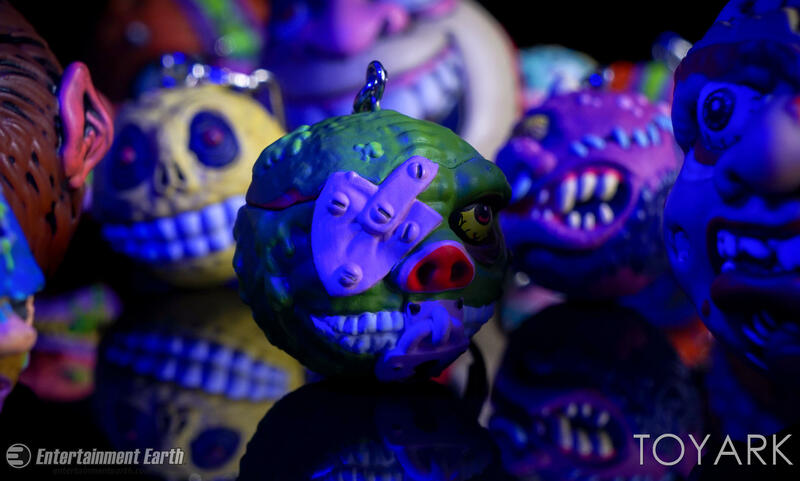 Read on to check out all of the photos and a quick review of the Madballs. 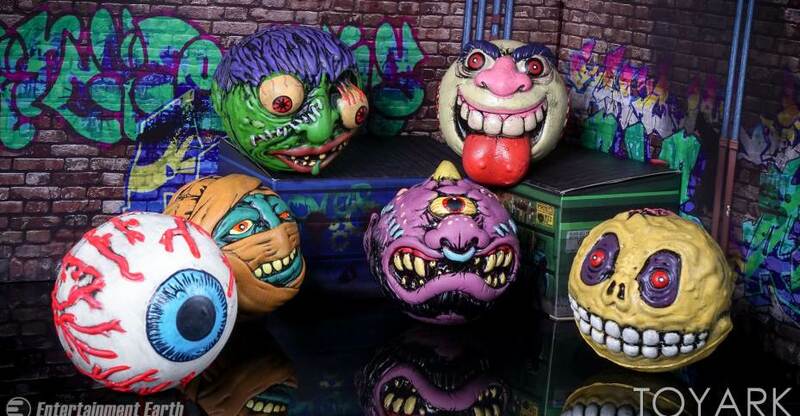 This year, fans of the classic Madballs toy line will have numerous options to grow their collection. There are at least three different companies releasing updates to the classic 80’s toy line. These include Mondo, Kidrobot and Just Play. While both Kidrobot and Mondo are gearing their releases toward collectors, the new line from Just Play is setting their sites on kids as well as collectors. Of the three, Just Play’s designs deviate the farthest from the original series. Their Madballs feature more stylized, cartoon-ish takes on the classic characters, and will be supported by a series of online cartoons coming this year. The Just Play versions are also making their way to standard retail spaces, with Target stores being your best bet to find these. Fans looking to just dip their toes in the line can also opt for the much smaller blind bag assortment from Just Play. Today, we’re looking a the first four Madballs released by Just Play. This includes Dust Brain, Skull Face, Oculus Orbus and Screamin’ Meemie. We have over 40 high resolution images as well as some thoughts on the new series. Check them out by reading on. You can check out their entire Madballs listings Here. Gross for one! Gross for all! We play with our…Madballs! 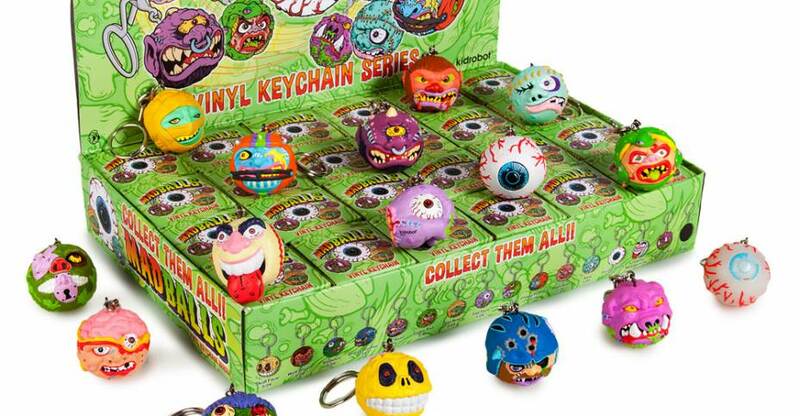 Madballs and Kidrobot have teamed up to present the Madballs 1.5” Keychain Series. This series features 16 classic Madballs characters from the popular 80s toy series. This makes the perfect sick accessory for any set of keys! They also work as a zipper pull to add a gross out air to any backpack, purse or jacket! Collect them all and have freaky fun for everyone! 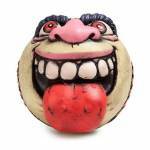 Read on for some new photos of the Madballs Keychains. We will update as more details become available. Click the banner image above for the photo. I don’t have any additional details at the moment. We’ll update as news becomes available. Click the banner image to check out the photo. This one slipped by us a few days ago, but it’s something we’re definitely going to be covering. 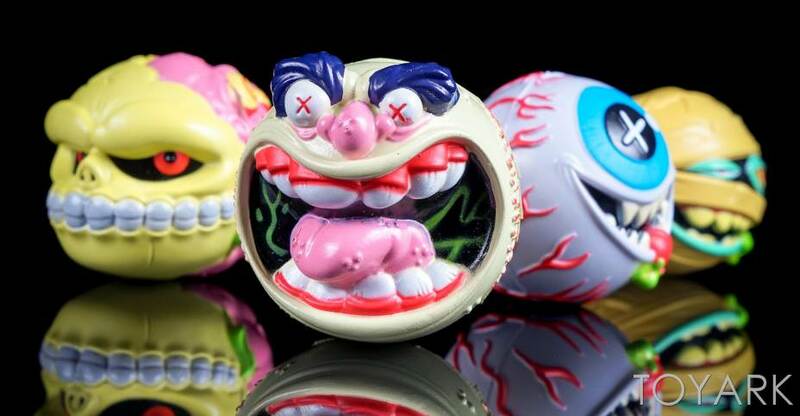 You may remember that back in February, Mondo unveiled their Madballs collector series. Now we have word that American Greetings has teamed with a company called Just Play and announced that they will be releasing new Madballs. Not only will they be releasing new Madballs, but also a series of animated shorts. 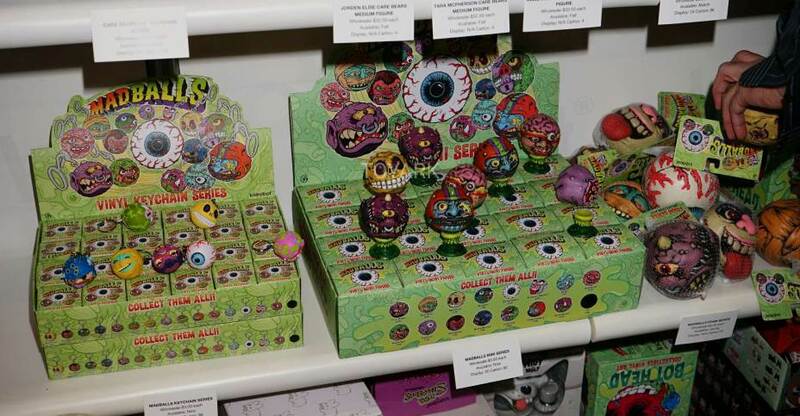 The toy line up will see standard sized and mini Madballs, and eventually playsets and more! Plus there are more licenses announced for more collectibles. Twitter user @stevenganne shared a photo showing the first assortment of Madballs. Licensing.biz (thanks to @FakeEyes22) has a full press release on what to expect. 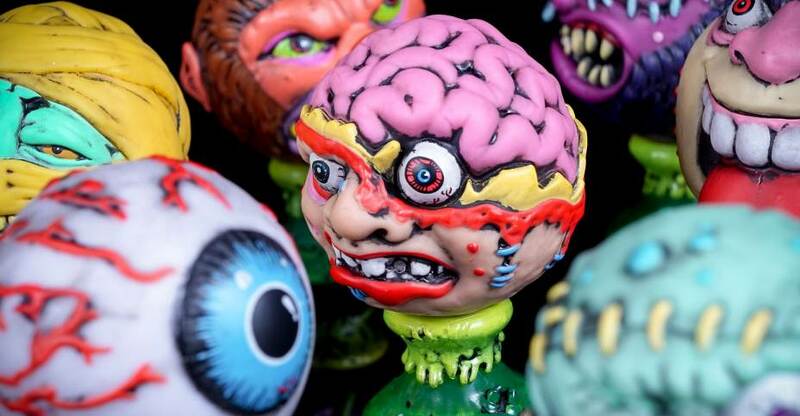 More photos added, showing the Madballs in great detail, courtesy of @stevenganne. Read on to see the images and press release.